JOHN 1980: "'It Wont Be Long' is mine. It was my attempt at writing another single. It never quite made it. That was the one where the guy in the 'London Times' wrote about the 'Aeolian cadences of the chords' which started the whole intellectual bit about the Beatles." PAUL circa-1994: "We'd spot the double meaning... In 'It won't BE LONG till I BELONG to you' it was that same trip." JOHN 1980: "That's me trying to do Smokey Robinson again." JOHN 1972: "This was one of his first biggies." JOHN 1980: "'All My Loving' is Paul, I regret to say. Because it's a damn fine piece of work. But I play a pretty mean guitar in back." PAUL 1984: "Yeah, I wrote that one. It was the first song I ever wrote where I had the words before the music. I wrote the words on a bus on tour, then we got the tune when I arrived there. The first time I've ever worked upside down." PAUL 1988: "I think that was the first song where I wrote the words without the tune. I wrote the words on the tour bus during our tour with Roy Orbison. We did alot of writing then." PAUL circa-1994: "It was a good show song. It worked well live." GEORGE 1980: "The first song that I wrote... as an exercise to see if I could write a song. I wrote it in a hotel in Bounemouth, England, where we were playing a summer season in 1963. I was sick in bed... maybe that's why it turned out to be 'Don't Bother Me.' I don't think it's a particularly good song... It mightn't even be a song at all, but at least it showed me that all I needed to do was keep on writing, and then maybe eventually I would write something good." PAUL 1988: "I think John and I were really concentrating on-- 'We'll do the 'real' records,' but because the other guys had alot of fans we wrote for them too. George eventually came out with his own, 'Don't Bother Me,' but until then he hadn't written one." JOHN 1972: "Both of us wrote it. This was a knock-off between Paul and me." JOHN 1980: "'Little Child' was another effort of Paul and I to write a song for somebody else. It was probably Ringo." PAUL circa-1994: "Certain songs were inspirational and you just followed that. 'Little Child' was a work job." PAUL 1984: "Influenced by the Marvelettes, who did the original version. We got it from our fans, who would write 'Please Mr. Postman' on the back of the envelopes. 'Posty, posty, don't be slow, be like the Beatles and go, man, go!' That sort of stuff." JOHN 1980: "That was Paul's. Maybe I stuck some bits in there... I really don't remember. It was a pretty poor song and I was never really interested in it either way." PAUL 1988: "I can't remember much about that one. Certain songs were just 'work' songs... you haven't got much of a memory of them. That's one of them. You just knew you had a song that would work, a good melody. 'Hold Me Tight' never really had that much of an effect on me. It was a bit Shirelles." PAUL circa-1994: "'Hold Me Tight' was a failed attempt at a single which then became acceptable album filler." JOHN 1972: "Both of us wrote it, but mainly Paul. I helped him finish it." JOHN 1980: "'I Wanna Be Your Man' was a kind of lick Paul had-- 'I wanna be your lover, baby. I wanna be your man.' I think we finished it off for the Stones. We were taken down to meet them at the club where they were playing in Richmond by Brian and some other guy. They wanted a song and we went to see what kind of stuff they did. Mick and Keith heard we had an unfinished song-- Paul just had this bit and we needed another verse or something. We sort of played it roughly to them and they said, 'Yeah, OK, that's our style.' But it was only really a lick, so Paul and I went off in the corner of the room and finished the song off while they were all still sitting there talking. We came back, and that's how Mick and Keith got inspired to write... because, 'Jesus, look at that. They just went in the corner and wrote it and came back!' You know, right in front of their eyes we did it. So we gave it to them. It was a throw-away. The only two versions of the song were Ringo and the Rolling Stones. It shows how much importance we put on them. We weren't going to give them anything great, right? I believe it was the Stones' first record." PAUL 1984: "I wrote it for Ringo to do on one of the early albums. But we ended up giving it to the Stones. We met Mick and Keith in a taxi one day in Charing Cross Road and Mick said, 'Have you got any songs?' So we said, 'Well, we just happen to have one with us!' 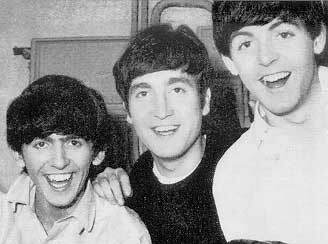 I think George had been instrumental in getting them their first record contract. We suggested them to Decca, 'cuz Decca had blown it by refusing us, so they had tried to save face by asking George, 'Know any other groups?' He said, 'Well, there is this group called the Stones.' So that's how they got their first contract. Anyway, John and I gave them maybe not their first record, but I think the first they got on the charts with. They don't tell anybody about it these days; they prefer to be more ethnic. But you and I know the real truth." PAUL 1984: "Influenced by Smokey Robinson and the Miracles." PAUL 1964: "Let's see, we were told we had to get down to it. So we found this house when we were walking along one day. We knew we had to really get this song going, so we got down in the basement of this disused house and there was an old piano. It wasn't really disused, it was rooms to let. We found this old piano and started banging away. There was a little old organ too. So we were having this informal jam and we started banging away. Suddenly a little bit came to us, the catch line. So we started working on it from there. We got our pens and paper out and just wrote down the lyrics. Eventually, we had some sort of a song, so we played it for our recording manager and he seemed to like it. We recorded it the next day." JOHN 1980: "We wrote alot of stuff together, one on one, eyeball to eyeball. Like in 'I Want To Hold Your Hand,' I remember when we got the chord that made the song. We were in Jane Asher's house, downstairs in the cellar playing on the piano at the same time. And we had, 'Oh you-u-u/ got that something...' And Paul hits this chord, and I turn to him and say, 'That's it!' I said, 'Do that again!' In those days, we really used to absolutely write like that-- both playing into each other's noses." PAUL circa-1994: "'Eyeball to eyeball' is a very good description of it. That's exactly how it was. 'I Want To Hold Your Hand' was very co-written." JOHN 1980: "Just my attempt at writing one of those three-part harmony Smokey Robinson songs. Nothing in the lyrics... just a sound and a harmony. There was a period when I thought I didn't write melodies... that Paul wrote those and I just wrote straight, shouting rock 'n roll. But of course, when I think of some of my own songs-- 'In My Life,' or some of the early stuff-- 'This Boy,' I was writing melody with the best of them." PAUL 1988: "Fabulous. And we just loved singing that three-part too. We'd learned that from: (sings) 'To know know know her is to love love love her...' We learned that in my dad's house in Liverpool." JOHN 1980: "That was my song. 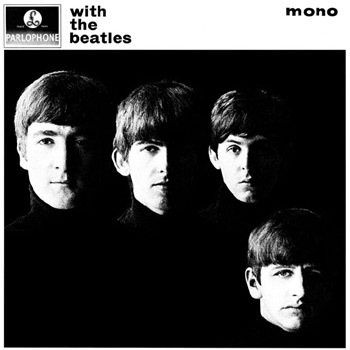 When there was no Beatles and no group, I just had it around. It was my effort as a kind of blues originally, and then I wrote the middle-eight just to stick it in the album when it came out years later. The first part had been written before Hamburg even. It was one of my 'first' attempts at a song." PAUL circa-1994: "We worked on it together, but it was John's idea. When I look back at some of these lyrics, I think, 'Wait a minute. What did he mean? 'I call your name but you're not there.' Is it his mother? His father? I must admit I didn't really see that as we wrote it because we were just a couple of young guys writing. You didn't look behind it at the time, it was only later you started analyzing things." 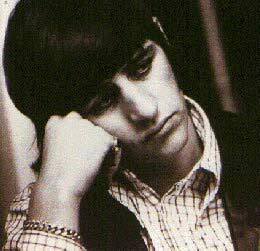 RINGO 1964: "I'm featured on it. Actually it was written by Carl Perkins about six years ago. Carl came to the session. I felt very embarrassed. I did it just two days before I went in the hospital (with tonsilitis) so please forgive my throat." PAUL 1963: "If an idea does pop in your mind, then you do sit down and say, 'Let's do it.' If there are no ideas and say we've been told we've got a recording date in about two days time, then you got to sit down and sort of slug it out. You normally get just a little idea which doesn't seem bad and you go on and it builds up from there. It varies every time." PAUL 1963: "Lots of people have asked us what we enjoyed best... concerts, television, or recording. We like doing stage shows because it's great to hear an audience enjoying themselves. But the thing we like best is going into the recording studio to make new records. What we like to hear most is one of our songs taking shape in a recording studio, and then listening to the tapes afterwards to hear how it all worked out." GEORGE 1963: (speaking with NME in their 11/15/63 issue) "In some cases we'd just got the general idea for a number. For instance, the middle bit might be missing. Our recording manager (George Martin) would pop out for a drink or something, and in the meantime we'd finish it off. When he came back we'd have added words and a bit more tune, and so on." JOHN 1964 "We always record them exactly as we can play them. Even if we do put things on top, the basic thing on a record we do live. We play and sing at the same time on the record, so if we can't do it there, we don't do it." JOHN 1964: "Sometimes you THINK you feel it, and you listen back and it doesn't happen. You were really feelin' and you're swingin' and it doesn't happen. But when it does, it's great." GEORGE 1977: "It was enjoyable. We'd get into doing harmonies and this and that... What we'd do would be work out most of the basic track on one track, get all the balance and everything set, all the instruments. Then we'd do all the vocals, or overdub. If there was guitar, lines would come in on the second verse and piano in the middle eight with shakers and tambourines. We'd line up and get all the sounds right and do it in a take, and then do all the vocal harmonies over."